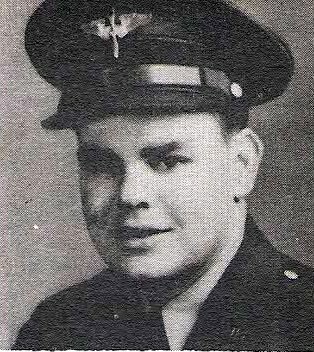 Lt. Calvin G. Atwood, son of L. J. Atwood, Bryson, graduate of Bryson High. Entered AAC, 1941, trained in Calif., Ariz. and Tex. Served as Flight Instructor in Houston and Sweetwater. Killed in Sweetwater, Texas, 1943. Listed as Calvin J. Atwood on the "In Memoriam" page in the original 1940's publication, "The Men and Women in World War II From Young County Texas".